Important: IG Markets review - SCAM? Mobile? Demo account? IG Markets Review 2019 – Scam? Demo? App? IG Markets (IG, IG Trading, IG Group) is a broker focused on forex (currency trading), stocks as CFDs, and a few other financial instruments. The Forex broker is owned and operated by IG Group which is a leading financial firm that has been active in the UK since 1974. IG Group provides several trading services and products around the world with IG Markets being the flagship. IG Group has been that’s been traded on the London Stock Exchange for several years and they are proud to offer access to more than 15,000 markets. IG Markets is regulated by the Financial Conduct Authority (FCA). With an IG Markets trading account, you gain access to some of the industry’s most innovative products including the MetaTrader 4 platform and an IG trading demo account with 30,000 virtual dollars. In fact, IG is one of our favorite overall brokers and one of the most globally respected financial platforms out there. IG Group has been one of the leading companies in the global investment market for many years. They provide a good and trustworthy broker service that is very easy to use. However, sometimes it feels like IG Markets is too eager to offer as many instruments as possible instead of a solid product. We also think it’s annoying how difficult it is to get in contact with their support and we really hope that they are working on making it more accessible. One bonus is that IG Group is an investment firm that also provides a product for the American market. In the United States, IG Group goes under the name Nadex. Is IG Markets a Scam? No, we are certain that IG Group the company that operates IG Markets is not a scam. The company is regulated by the financial authority in England and they are also noted on the FTSE 250 list, meaning they are one of the largest and most influential companies in the UK. In fact, IG Markets has a good reputation and around 200,000 active customers around the globe. One aspect that sets IG Markets apart from many other brokers is that they have been around for more than 40 years, and started offering trading opportunities before the internet even existed. IG Markets also offers products to the American market through a binary options broker called Nadex. In order to guarantee that we only recommend the best brokers in the industry, we go through a very long and detailed reviewing process. The first step of that process is to make sure that the broker we’re reviewing is legitimate and safe. That includes checking all the licenses as well as evaluating their reputation in the industry. We also make sure that the broker and the company have good reviews from customers. If we at any point find information that makes us doubt the legitimacy of a broker we stop our reviewing process and move on to the next broker. IG Markets was reviewed by us to guarantee all of the above, and we are confident that this broker is not a scam and that you can trust that they will keep your funds and personal data safe. From personal experience, we’ve learned that IG Markets is fair and that they offer a good and honest service. In addition to that, IG Group offers binary options trading in the United States under regulation from the Commodity Futures Trading Commission (CFTC) which is an agency that in many ways is stricter than its European counterparts. We challenge you to find a broker that has been evaluated as much as IG Group and that gets audited as much as they do. IG Markets is owned and operated by a British company called IG Group based in London. IG Group was founded in 1974 and has since established themselves as a global leader in online trading. The company is listed on the London Exchange. Today they offer a range of different trading services around the world with IG Markets being the main one. IG Markets is fully regulated and authorized by the Financial Conduct Authority in England. This means that IG Markets can offer CFD trading to everyone within the European Union (with the exception of Belgium) and that all users are protected. Since IG Group is a publicly traded company, the broker is regulated even more strictly than many other brokers in the industry. In 2007, IG Group acquired an online trading broker called HedgeStreet based in Chicago, and the deal gave the company access to the American market. Today, HedgeStreet is known as Nadex (the North American Derivatives Exchange), and it is the single leading binary options broker in the United States. In order to offer binary options on the American market, Nadex has to be authorized by the Commodity Futures Trading Commission (CFTC). IG Markets has one of the largest selection of tradable assets in the world spread out over close to a dozen markets. With an IG Market trading account you can trade on 7,500 stocks, commodities, cryptocurrencies, forex, and more. The MetaTrader 4 is the most well-known trading platform for forex and CFDs, and it is the platform that IG Markets offers. Today, many brokers offer the MetaTrader 4 to their customers since it provides an excellent service and lets the broker focus on other parts of their business instead. If you haven’t used the MT4 yet, we suggest you set up an account with IG Markets and get started today! IG Markets has put a lot of effort into developing a service that fits all sorts of traders with different needs. Their main product is the renowned MetaTrader 4 platform and they also offer a web-based version of that platform. IG Markets also offers tools for mobile trading and analytic work. Today many brokers decide to collaborate with the MetaTrader 4 due to the superior quality of the platform, and we agree. One of the main benefits of working with MT4 is that the broker can put a lot of extra energy and focus on developing a good brand and a stable broker service, which means that MT4 brokers like IG Markets often have better overall products than others. Many traders consider IG Markets MetaTrader 4 to be the king of trading platforms. MetaTrader 4 was not developed by IG Markets but by a third party company that provides the platforms to many brokers. The software is so reliable and practical than most traders prefer to use it over proprietary tools. We have used MT4 in several different markets with many different brokers and agree that it’s one of the best available platforms at the moment. IG Markets WebTrader was developed to offer trading opportunities from your browser without download. The features are impressive with plenty of charts and analytic tools that can be used to assess the market in real-time. We like that the platform is easy to adjust to specific needs and that the experience can be personalized. This account setup is the most common in the industry right now, and it’s the perfect combination for any trader. If you are an experienced trader that’s looking to start trading right away, you can open a real trading account, and if you are a beginner that needs some practice, you can go for the demo account. IG Markets also has two advanced trading tools that are aimed at professional day traders. The first is called ProRealTime, and it is the leading charting tool in the industry, and for everyone that makes 4 transactions a month, the tools are completely free. Otherwise, it will cost you $30/month. The second tool is the L2 Dealer – a downloadable platform for Shares DMA and Forex Direct services. Note that the MetaTrader 4 has been adjusted to fit IG Markets and their brand and that some aspects of the platform will look different from other brokers that work with the MetaTrader 4. The adaptability is one of the good things with MT4 since it allows brokers to tweak the platform to their needs. IG Markets also has a couple of features that let you use alarms and notifications as a part of your trading strategy. These functions are very practical since they can be set to send you an email as soon as the market reaches a condition that you have predetermined. Trading signals are an essential part of every investment strategy, and IG Markets has made it very easy to implement. In addition, the IG Markets platform also has features that allow you to use stop-loss, limit orders, trailing stops, guaranteed stop-losses, and more. Stop-loss orders are the most effective way of protecting yourself against unnecessary losses, but it’s also a great way to protect the profits you’ve already made. IG Markets Trading App? It’s obvious that IG Markets has put an effort into offering a good mobile product. However, they recently dismissed their application for Windows phones, and since then the selection has become somewhat more limited. Android – If you have an Android smartphone or tablet you can download IG Markets free trading app. With the app, you can trade CFD wherever you are and keep an eye on your ongoing trades even when you don’t have access to your computer. The applications can also be used to set trading signals that can be delivered as notifications, text messages, or through email. iPhone/iPad – IG Markets mobile trading applications for Apple products is one of the most award-winning apps in the industry. In 2014, the mobile app was awarded “Best Trading App of The Year” in two separate competitions. 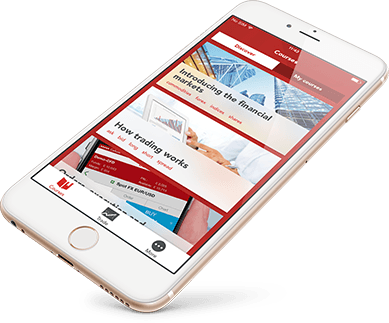 Just like the Android version, the iOS trading app can be used to trade CFDs wherever you are and it can be used for analytic preparations. IG Markets account system is easy. You can choose between a traditional trading account that gives you direct access to all the markets and the option to trade for real money. Otherwise, you can open an IG Markets demo account and start trading using virtual money. The IG Markets demo account is a practical tool for traders on all levels. When you open a demo account with IG Markets you get 10,000 virtual dollars that you can use to trade without limits and risks. 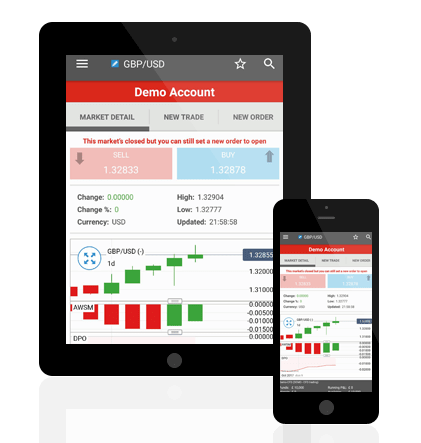 A demo account can be adjusted to your specific needs and acts as a mirror of your real trading account, it is also 100% compatible with your Android or iOS device. The best part with IG Markets demo account is that you can open one without having a regular trading account. Also, it is completely free of fees. It is easy to open a trading account with IG Markets and you are not forced to make a minimum deposit or pay any start-up fees. IG Markets also provides a step by step guide on how to get started, but the process is really simple so don’t worry. First, you submit personal information such as your name, address, email address, and phone number. Then you send a picture of your ID or passport and as soon as IG Markets has confirmed your identity you can deposit money and start trading. At the moment, IG Markets does not offer any VIP accounts and all customers are treated equally. However, if you have an above average turnover you can expect invites to exclusive events and products. 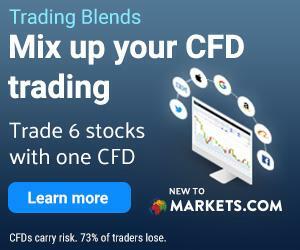 There are also a couple of special accounts that have been developed to help traders get started with CFD trading. If you want you can activate something called “Limited Risk” which will make your account limitations much stricter. This feature is recommended for beginners that aren’t completely comfortable with trading and feel like they need some practice in a controlled environment. The IG Trading demo account is a great option for anyone curious about the IG Trading platform. It offers you a free chance to try out the platform within risking any capital. Since we know our users are particularly interested in demo accounts we have decided to dig a bit deeper into this one and present our findings here. The IG Trading demo account gives you full access to the platform, no limitations. The demo account is free of charge. You can use the demo account to practice strategies or to try out functionalities on the platform. The account comes loaded with a whopping € 30,000 in virtual funds. You get access to desktop, mobile, and tablet version. 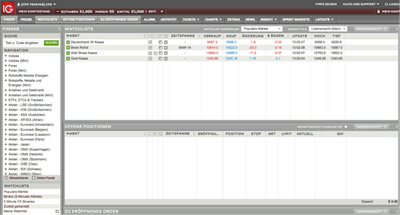 IG Markets UK demo – the IG Market demo is fully available also for UK traders. Here at BullMarketz we believe in keeping our clients safe, that means we also warn about the risk associated with trading. A demo account is a great tool for you to practice, to try out the platform in a completely risk-free environment. We have together with IG Markets put together a list of a few of the most important differences between the real account and the demo account. Please note that there are more differences than this. The is a huge psychological difference between trading with virtual money and real money. When you make trades on the IG trading demo version, the trades are NOT subject to slippage, interest and dividend adjustments. This can make a big difference. Positions can be refused if you do not have the funds required to open them. But if you are using a live account, positions will not be refused because of size or price. Your open position will not be closed if you have insufficient funds on your demo account to cover the margin and losses. On a live account, this can happen. As a CFD broker, IG Markets offers leverage on all trades conducted on the platform. This is a great feature that gives you as a trader extra exposure to all your investments meaning you can make a profit from money that you don’t invest on your own. Naturally, this also creates extra risk which means you need to be very careful. Because of this IG Markets provide extensive educational material about the risks involved in leverage trading and they also require you to take a test to evaluate your level of knowledge before you can start trading. The level of leverage that you are allowed to trade with differs depending on your knowledge, country of residence, and the asset you’re trading. You are also allowed to adjust the leverage depending on your needs. In the industry, it is standard that large forex pairs have the highest available leverage while cryptocurrencies and stocks get the lowest amount. In our opinion, the best way to learn how to use IG Markets leverage is by opening a demo account and beginning to trade today. Then as soon as you feel comfortable enough to move on you open a real account and start trading with leverage on IG Markets platform. As we already mentioned, a trading account with IG Markets will get you access to 15,000 different markets or 15,000 derivatives to trade with. Their main focus is forex and CFD trading but they also offer alternative instruments such as cryptocurrencies. Forex – IG Markets provides more than 100 of the world’s most popular and lucrative currency pairs. The forex market is available all day from Sunday evening, in Europe, to late Friday night. IG Group has put a lot of effort into developing a forex product that you can rely on. Their goal is to make forex trading as easy as possible for beginners as well as professional traders. CFD – CFD trading with IG Markets is a flexible way of trading in different markets without actually buying the securities. We love CFD trading and think that IG Markets offers one of the better products on the market. The advantage with CFD trading is that it can be used on both bullish and bearish markets, hence creating twice as many opportunities than say, for example, traditional stock trading. Stocks – IG Markets gives their customers access to more than 7,500 of the world’s biggest stocks in the form of CFDs. This means that you can trade stocks with IG Markets, however, not on the actual stock exchanges. Instead, you buy them as CFDs. Indices – Just like stocks, IG Markets also offers some of the most popular indices in the world. Examples of the available indices include The Dow Jones, S&P 500, and FTSE 250. Cryptocurrencies – Today, both Bitcoin and Ethereum are a part of IG Markets ever-growing selection of financial instruments. With an IG Markets trading account you can trade Bitcoin and Ether as CFDs and as currency pairs. Commodities – A part of IG Market’s selection of CFDs includes 26 commodities. This is an exciting financial instrument that requires a good understanding of the international markets. Luckily, IG Markets has made it as easy as possible to trade commodities. Spread Betting – IG Market is one of the few brokers that we recommend that offers spread betting to their customers. Spread betting is similar to CFD trading with a few unique benefits and disadvantages. There is no doubt that IG Markets provides traders access to one of the most impressive selections of assets in the industry. We know that there are certain traders that like to focus solely on a few select assets and we can guarantee that you can find them here. What is unique with IG Markets is that there is something here for the traders that love to diversify their portfolios with exotic assets. The registration process with IG Markets is very similar to all other brokers that are licensed by the FCA since they all follow the same guidelines. However, certain parts of the IG Markets process is different, and they provide an extra feature that most brokers don’t. Therefore we thought we’d walk you through the process step by step. The first step after you’ve found a sign-up button on this page is to submit information about yourself such as name, address, phone number, email, etc. Be careful that you only provide accurate information that you can verify in the future. This step is very straightforward and if you’ve ever created an account anywhere else on the internet before you know how it’s done. The second step involves answering questions about your understanding of CFD trading and leverage, and IG Markets will also ask you about your trading experience. This information will later be used to determine what kind of an account you will have access to in regards to trading limits and leverage. This is done in order to protect you from unnecessary loses and to give you a fair starting point in your trading experience. It is also mandatory in the industry and can’t be avoided. But don’t worry, the form is easy and there are no complicated questions, it also rarely takes more than a few minutes to finish it. If you’re a bit unsure of how CFD trading works and what leverage and margin means we advise you to read through the many guides we’ve written about the subjects. A copy of your passport, driver’s license, or national ID. The copy must be made in color, and all the important information needs to be included otherwise IG Markets will reject it. You also need to submit a recent utility bill that has your name and address clearly marked on it. In case you’re unable to do so, a bank statement with your name and address can be enough. Note that this is just basic information that IG Markets asks for and what most people have to submit, but IG Group has the right to ask for even more information as they see fit. With some brokers, the registration can take days and sometimes weeks, but in the case of IG Markets, it is usually processed immediately, which is a huge plus for many obvious reasons. A unique aspect of IG Group is that they offer trading opportunities for American traders. In 2007, IG Group acquired HedgeSteet which developed Nadex, and since then they offer binary options trading on the American market. In fact, the American market is one of the strictest in the world and also one of the hardest to get regulated for, which makes it even more impressive that Nadex is one of leading brokers in the United States. Nadex is regulated and authorized by the Commodity Futures Trading Commission. Nadex (the North American Derivatives Exchange) was also the first broker to ever be regulated by the CFTC and they operate under extremely strict regulations when it comes to user protection and the handling of customer funds. In early 2018, the European Market and Securities Authority (ESMA) decided to ban binary options trading in Europe. All the brokers that offered binary options had to close down their services immediately, but since Nadex is an American broker, IG Markets wasn’t affected by the change. So today, IG Group is one of the few financial firms based in Europe that is still allowed to offer binary options as long as it’s not in Europe. Today, Nadex provides binary options trading on several markets including commodity futures, index, shares, and much more with a time range from intraday contracts to week-long trades. IG Group is mainly regulated and authorized by the Financial Conduct Authority (FCA) in the UK with reference number 195355. The FCA is a very strict authority that gives IG Markets the right to offer financial services in most of Europe and other parts of the world. A license from FCA means that all their customers are protected if anything would happen to the broker. But why is a license so important? Without a license and proper regulation, the broker is free to do pretty much whatever they want to. That means they don’t have to protect you or your funds and they can offer fees, spread, and prices that are out of the ordinary. Naturally, you want to avoid using a broker like this since chances are they will rip you off, and even if it is an honest company you don’t know how safe their services are. Meanwhile, if you use a regulated broker like IG Markets, you won’t have to worry about any of this. For example, because IG Markets is regulated by the FCA, they have to follow strict guidelines in their everyday operation regarding the products they offer, how they handle your information and the security measures they use. In addition, they have to agree to be audited by the FCA at random on a regular basis. In other words, using a licensed broker like IG Markets ensures that the broker is safe and serious so that you don’t have to worry and can focus all your energy on trading. Also, we would never recommend any broker that wasn’t regulated. Using IG Markets tools and platforms is an incredible feeling, to say the least. All of the features are easy to navigate and they are integrated in a way that makes the experience smoother than with many of IG Markets’ competitors. MetaTrader 4 is the leading CFD and forex trading platform in the industry, and for good reason. It has been developed, optimized, and adjusted to make trading as seamless as possible and we love using it. Combine that with all the analytic features that IG Markets provides and the advanced charting tools, and you have a broker that can satisfy even the pickiest day traders. What we want to emphasize is that IG Markets offers an extraordinary trading experience that we really hope you consider trying on your own. IG Markets is consistently awarded for their trading app. It is one of the most innovative and easy to use apps that we have ever traded on. We think that the updates that have been done to the mobile trading platform over the past few years have taken it to a level that most brokers could only dream of. In fact, most brokers offer a trading app that is very limited compared to their regular tools, but not IG Markets. Their app is somewhat more limited than the downloadable MT4, but it is still equipped with all the features you need to trade on the go as well as surprisingly sophisticated analytic tools. We also like the fact that IG Markets has taken the time to develop an educational app with some of the most comprehensive trading material out there. Unlike many of its competitors, IG Markets is not a commission-free broker, and they also charge spread and have a few fees that you should be aware of. Because of this, we’ve decided to outline the system that IG Markets uses to make revenue. As mentioned, IG Markets is not commission-free, which to us is quite strange since most brokers are these days. With that being said, IG Markets only takes a commission of stock trading – all other assets are commission free. Also, IG Markets does not combine commission and spread so you only pay one or the other. The following system applies for commission share trading. Stocks on the London Exchange have a 0.1% commission with a minimum charge of £10. Stocks on the American market have a commission of 2 cents per share with a minimum charge of $15. European Stocks come with a 0.10% commission and a minimum charge of €10. IG Markets fee system can be quite complicated to understand so we will try to explain it as simply as we can. Today, IG Markets charges two fees for long and short positions that are kept overnight – after the market closes. The fee is based on interbank funding rates that are collected on a monthly basis. For long positions, IG Markets charges 2.5% above the current interbank rate, meaning if the rate is 0.5% you will be charged a total of 3%. For short positions, IG Markets charges the interbank rate minus 2.5%, and if the rate is higher than 2.5%, you will be credited, however, if the rate is lower than 2.5% IG Markets will debit your account. We understand that it can sound confusing, but you can always find a calculation of how much you’re expected to pay for each trade on the IG Markets platform, and therefore you don’t actually have to calculate the fees on your own. Note that if you’re trading on a commodity or an index futures contract with a fixed expiry date, the overnight fees are included in the spread which makes it even easier to calculate how much each trade will cost. Spreads on IG Markets vary a lot depending on what you invest in. The lowest spread we have found is 0.3 on spot gold and 0.75 on USD/EUR, and the highest spread is 6 for Wall Street futures (including overnight fees). We recommend that you always make sure you understand all the charges that can be applied to your trades before you enter your positions. Otherwise, you risk being disappointed. As a regulated broker, the payment methods that IG Markets offer their clients have to fulfill certain requirements and they must all be considered safe and trustworthy. That means that IG Markets can’t decide to collaborate with any random payment system but only services that have been accepted by the FCA. Bank Transfer – You can perform a regular bank transfer from your bank account to IG Markets. Credit or debit card – You can also use your bank card to deposit money into your trading account. Visa, Mastercard, Maestro, and Electron are accepted. PayPal – Nowadays, you can use PayPal to deposit and withdraw money to and from your trading account. In our opinion, this is the most practical option. Depending on where in the world you live, there may be other payment methods available. For example, Australian customers can use BPay to fund their IG Markets accounts. IG Markets also has several local bank accounts spread out in the world that can be used for local bank transfers in order to minimize fees. For example, there is one account in Hong Kong, one in New Zealand, and multiple ones in Europe. 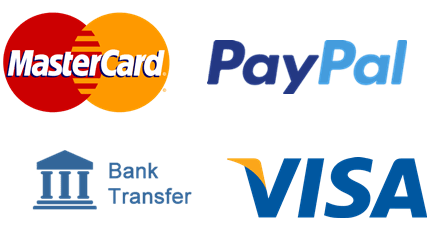 It is up to you to choose the method you prefer, but in our opinion credit/debit card payments and PayPal are the most convenient. They are quick, safe, and reliable with low to no fees depending on your bank. IG Markets customer service is exceptional when it works. Unfortunately, we have tried using their live chat on several occasions and it has been canceled before we reach anyone. Depending on where you reside and what language you speak you can either contact the IG Markets English speaking office or one of their local offices. The contact is done by live chat or over the phone (0800 4096789). You can also send an email to support or fill in the contact form on their website. The support team is knowledgeable and professional, but unfortunately, their live chat is not the best and there is usually long waiting times over the phone. Since this review was first written, we have been in contact with the IG Markets’ customer service again, and the experiences have been better. The live chat feature is still not very reliable, and we’ve struggled to connect to it, although, the phone feature seems to be working better and waiting times are shorter. And every time we’ve emailed them, IG Markets has responded in a professional and timely manner. IG Group currently has 14 operational offices spread out around the world. The IG Group headquarters is located in central London, a short walk from the London Bridge. The address for the London office is Cannon Bridge House 25 Dowgate Hill, London. In addition, IG Group also has 13 international sales offices spread out around the world. The first one opened in Melbourne, Australia in 2002 and since then they’ve opened new ones in Asia (Tokyo, Singapore, Banglore, Shanghai), Africa (Johannesburg), Europe (several), and the Middle East (UAE). In addition, IG Group has one operational office in Chicago from where they run Nadex. As a part of IG Markets’ dedication to being as user-friendly as possible, the broker offers an innovative introduction program for beginners as well as comprehensive educational material. The introduction program consists of basic CFD trading courses where you get to learn everything about trading CFDs, using leverage, and minimizing risk. IG Markets also lets beginners trade with lower minimum fees on selected stocks. At the time of writing, the selected stocks where all from the Australian market but that could change from time to time. In addition, IG Markets also provides educational material for all levels meaning there is a lot to learn for both beginners and more experienced traders. A big part of the education on IG Markets’ platform is dedicated to risk management and safety measurements. There is also a large glossary covering trading terms that might be unfamiliar to many. The beauty with all this is that the information is free as long as you open a verified IG Markets account beforehand. To get your hands on all of the material, you will also have to download IG Markets educational app from Google Play and iTunes. To learn more, we recommend you check out the educational part of the IG Markets website as well as the IG Academy App. IG Group is constantly rewarded for their amazing work and dedication in the industry, and over the past three years, they have received well over 30 separate rewards in the United Kingdom and several on the international market. Below you’ll find a sample of some of the most prestigious prizes that IG Groups has been awarded. In 2017, IG Group was recognized as one of Britain’s top employers based on the company’s excellent working conditions, innovative HR policies, and friendly workforce. It was the ninth year in a row that IG Group was awarded this recognition. In 2018, the company was awarded Best Overall Personal Wealth Provider 2018 at the Online Personal Wealth Awards – one of Britain’s leading awards. As mentioned, the list goes on and on and since the broker is known for their innovative drive, we can expect to see them receive even more recognition in the future. In the following section, we will answer some of the most frequently asked questions about IG Markets. This is based on the questions that we most often hear regarding IG Markets, and they have all been answered by industry experts that have a great understanding of how IG Markets and other brokers operate. If you have any questions that aren’t answered below, we advise you to post them in the comments below so that we can provide an answer as soon as possible. What is IG Group and how is it different from IG Markets? IG Group is a British financial company that was founded in 1974. Due to their long experience in the field, they have become one of the leaders in online trading, and they are by far one of the most respected companies in the industry. IG Markets is a CFD broker that is owned and operated by IG Markets and offers trading opportunities to people in Europe and Asia. IG Markets isn’t the only brand that IG Group owns and operates, but it is one of the most well-known and successful. Why should I trust IG Markets? Today, there are two types of brokers. They are either regulated or they are not regulated. IG Markets belongs to the first kind, meaning they have been authorized and licensed by the Financial Conduct Authority (FCA) in the UK. Any broker that has a license has to follow very strict requirements and is forced to always protect you as a customer. In other words, you can trust IG Markets because they are regulated. How does IG Markets make money? IG Markets and other brokers have several ways in which they can make money. The most common is through something called spread. The difference between a buy and a selling price is a spread, and it goes directly to the broker. That means IG Markets makes a small fraction (usually no more than 1-3%) of every trade that you make on the platform. You also have to pay a small charge for any trade that is kept after the market closes. Additionally, IG Markets can take out small fees for certain services, just note that all these fees are minimal. CFD is short for contract for difference, and it’s derivative that’s used to speculate on market movements. In short, your job is to predict if the price of an underlying asset will increase or decrease and then buy a CFD that represents your prediction. In CFD trading you purchase a “Buy” contract for an asset you think will increase in price and a “Sell” contract for an asset you think will decrease. To learn more about CFD trading, we suggest you check out our detailed guide in the top menu. What assets can I trade with IG Markets? IG Markets offers CFDs on a wide range of asset classes. For example, you can invest in forex and currencies, shares and stock indices, commodities, cryptocurrencies, and more. Check the guide in the review above to read more about the asset classes on IG Markets’ platform. Does IG Markets offer leveraged trading? Yes, IG Markets offers leverage to their customers. In fact, all CFD brokers offer leverage in some form and IG Markets is no difference. Depending on your level of knowledge and experience, the amount of leverage you’re offered differs. Also, each asset comes with different margins and leverage with forex having the highest levels and cryptocurrencies having the lowest. What trading accounts does IG Markets offer and is there an IG Markets demo account? IG Markets has a regular trading account that is used to trade CFDs with real money, and this is the account that everyone gets access to. However, based on your previous trading experience (which you have to prove in a short test upon registration) your limits differ. For example, an experienced trader will have more options and better limits than less experienced traded. This is done for fairness. In addition, there is also an IG Markets demo account that you can use to trade with virtual money on the IG Markets’ platform. This is especially beneficial for beginners. How do I open an account with IG Markets? To open an account with IG Markets you have to submit personal information, verify your identity, answer a selection of trading related questions to determine your level of knowledge, and then make the first deposit. We offer a detailed description of the registration process in the guide above. How do I verify my account after registration? In order to verify your trading account with IG Markets, you have to provide a set of documents. First, a color copy of your passport, driver’s license, or national ID. Second, a copy of a recent utility bill or a bank statement with your physical address on. Does IG Markets have their own trading platform? No, IG Markets offers access to the MetaTrader 4 platform and has not developed a proprietary platform, but that is not necessarily a bad thing. The MetaTrader 4 is one of the most appreciated and used trading platforms in the world, and many of the industry’s leading brokers offer it to their customers. Can I use IG Markets on my smartphone? Yes, IG Markets provides a mobile version of the MetaTrader platform. That means you can trade using your Android smartphone and tablets as well as on iPhones and iPads. The IG Markets app can be downloaded to Android and iOS from the respective app store. How do I deposit money to my IG Markets account? In order to fund your IG Markets account, you first have to verify it (see above). After the account has been verified, you make a minimum deposit using one of the available payment methods. Today, you can deposit money with a regular bank transfer from your bank to IG Markets, or you can use a Visa, Mastercard or Maestro to fund the account. And another alternative is to transfer money to your account using PayPal. Depending on where you live you might have the option of using checks to fund your account as well. How do I withdraw money from my IG Markets account? Withdrawals from IG Markets can be done directly from your trading account under the tab “Live accounts” and “Withdraw funds.” Note that the money needs to be withdrawn from the account that was first used to fund your account. If you, for some reason, aren’t able to withdraw to that same account you will have to contact IG Markets’ customer service and ask for help. Are there any limits for deposits and withdrawals? The minimum deposit amount is $250, but it can be higher than that depending on your preferred method of payment. The maximum deposit amount for card transfers is $55,000 as long as your bank lets you transfer that much at once. If you use checks, there is no maximum deposit limit. The maximum withdrawal limit is set to $35,000 every 24 hours. Does IG Markets offer educational material? Yes, IG Markets has one of the most comprehensive educational programs of any broker that we recommend, and there is material for every level of experience. IG Markets has even developed its own app for this purpose alone called the IG Academy App, which can be downloaded to Android and iOS. And for beginners, there is a CFD and leverage trading introduction to help you get started. Can I trade cryptocurrencies with IG Markets? Bitcoin, Ethereum, Litecoin, and Ripple are available on the platform, but more assets are expected to be added. Note that IG Markets doesn’t let you buy the actual cryptocurrency, instead you use CFDs to speculate on the price movements. How do I contact IG Markets? IG Markets’ customer service can be contacted via email, live chat, and over the phone. You can also contact the broker at the headquarters in London or at one of their 12 international locations. Nadex is an American binary options broker that is owned by IG Group. It is one of the only trusted binary options brokers in the United States and the first broker of its kind to be authorized by the Commodity Futures Trading Commission (CFTC). Generally speaking, Nadex has a good reputation. Can I trade stocks with IG Markets? You can trade on stock prices, but you cannot buy the actual stock with IG Markets. CFDs are a type of derivative that allows you to invest without owning meaning you can speculate on market movements. Share trading is a big part of the IG Markets brand and something most of the broker’s customers are involved in. Is IG Markets available globally? No, unfortunately, IG Markets is not available everywhere in the world. This is because CFD trading has been banned in multiple countries and because some countries don’t think that the existing regulation is enough to protect traders. Today, IG Markets is available to traders in Europe (with a few exceptions such as Belgium), Asia, Oceania, some parts of Africa, and more. CFD trading is banned in the United States which means that IG Markets isn’t allowed to offer their products there. However, binary options trading is not banned, and IG Group’s binary options broker Nadex is available in the country. This setup is quite unique in the industry and IG Group is one of few businesses from Europe that can offer to trade in the United States. What sets IG Markets apart from their competitors? Besides their excellent service and industry-leading trading platform, there is one additional thing that stands out when it comes to IG Markets, and that is their transparency. IG Markets is one of the most honest and open brands in the industry and it is obvious that they always prioritize their clients over themselves. Can you trade binary options with IG Markets? No, IG Markets has never offered binary options to clients, their focus has always been forex trading and CFDs. Also, since early 2018, binary options trading has been banned in Europe. However, IG Group is a major international global firm, and they offer trading services in other parts of the world. In the United States, IG Group owns and operates a broker called Nadex and Nadex is a binary options broker. So the answer to the question is: no, you cannot use IG Markets to trade binary options, although IG Group offers a binary options product for American traders. CFD trading is associated with a unique set of risks that all traders need to be aware of before they start trading. We have provided insight into those risks and how you can avoid them on our site, and so has IG Markets. In fact, IG Markets has a whole section of their website dedicated to risks and more importantly, how you can handle and manage those risks. In this section, IG Markets provides examples of the risks associated with CFD trading such as increased losses from leveraged trading, and then they provide the best solution for that risk. Many of the solutions are services that IG Markets offers and we suggest you check that page out. However, just to give you an insight into how comprehensive this page is we’ll provide you with a few examples. In order to protect yourself from unnecessary losses, IG Markets offers three account features that you can activate. Limited risk accounts are accounts that have been developed to offer you stricter limits than a normal account has. That means you won’t be able to invest the same amount of money for each trade and you will be limited from investing in the most volatile assets. It’s up to you to activate this feature after you’ve gotten your account registered and approved. Built-in risk protection is controlled by IG Markets, and it’s a feature that can stop and sell your positions automatically. This is done for you in order to avoid having a negative balance, the decision is made by IG Markets, meaning you have no power over them. Demo accounts are risk-free accounts where you can trade under real market conditions using virtual money. This is by far the best way for you to protect yourself against losses as a beginner since it allows you to practice trading. IG Markets’ demo account comes with $10,000 that automatically gets refilled when it reaches a certain minimum level. In our opinion, it’s a great sign that IG Markets provides all these features and we really appreciate how open they are with it. Everyone knows that CFD trading can be risky if not handled correctly, but there is no reason to try and hide it. Once again, this proves how transparent and honest IG Markets is – good job! We have yet to find a perfect broker that excels in every aspect and that offers a flawless product and there are always things that we think brokers can improve. In the case of IG Markets, we have found a couple of things that we don’t love and that we wish they would fix. The first problem we see with IG Markets is that their customer service isn’t up to standard. To us, there is no excuse to why the customer service shouldn’t be working perfectly, and we think it should be a priority for any broker to make sure that their customers can get the help they need. They have all the channels that one would expect, and some of them do work, but the IG Markets customer service is just not good enough compared to their competitors. Another thing we’ve noticed is that IG Markets has fewer customers than some of the other industry leaders. They have close to 200,000 active customers which are not a small number by any stretch of the imagination, but it is not nearly as many as some of the other brokers that we recommend. Naturally, this has us wondering why. Is it because a lot of people prefer using other services? Or is it just because they haven’t been able to reach out as effectively? What do the experts say about IG Trading / IG Markets? IG Trading is one of the most prominent brokers out there today, they simply have it all. A great brand for both beginners and professional traders. Most traders would agree with me on this one as well. Out of all brands out there, I would guess IG has the best reputation. Considering how many brokers we have on the market, that really says something. This is especially true in the UK, where IG Markets are huge. If you are unsure about IG, then I highly recommend that you try the IG demo trading account. Its completely free and will let you test the platform before you make a deposit. IG Group calls themselves a global leader in the online trading industry and we don’t think anyone would question that statement. The company has been around since 1974 and they have served hundreds of thousands of clients in different industries and in many different markets. 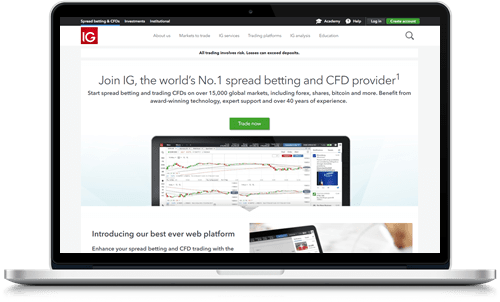 Today, IG Group’s flagship product is the industry-leading CFD broker called IG Markets that is a favorite among many professional and recreational traders. In addition to that, IG Group also offers binary options trading in the United States through a broker called Nadex, which makes IG Group unique since binary options were banned in Europe in 2018. In order to be able to trade CFDs, one has to find a good and legitimate broker to use, and when it comes to good brokers in Europe, IG Markets belongs to the top. We have used this broker ourselves and can vouch for their legitimacy. As we mentioned, safety is of the utmost importance for us when we trade, and it should be for you as well. It’s difficult to trade when you have to worry about you and your funds being safe, and it takes away from the experience. In fact, we would argue and say that you need to immediately stop trading if you ever feel unsafe. There are enough safe services to choose from today that you don’t need to accept the risk of being ripped off. IG Markets is one of the safest options that you can rely on completely. This broker has a great overall reputation among competitors, a large number of satisfied customers that use their services on a daily basis, and they have taken all the necessary precautions to be considered a safe service. To most brokers, that is enough, but IG Markets took it one step further and made risk management one of their main focuses. There are a number of services, limits, and account types that you can use in order to protect yourself and your funds more than you can with a regular broker. IG Markets is an excellent option for anyone looking to start trading forex and CFDs today. And if you’re still not convinced, we suggest you open an IG Markets demo account first so that you can try the broker out for yourself. When is comes to a demo account, what broker is the best option? I am considering opening a demo account with IG Markets but there seems to be quite a lot of alternatives out there. For now I am not interested in trading with real money, just get some practice. The IG Demo account is a really good alternative, you get almost full access to their trading platform and you can make use of € 30,000 in virtual funds. That’s more than enough to get a good insight into their platform. The IG demo account comes with some modified functionalities that you need to be aware of, you can read more about that in our IG Review. A few other options we can compete with IG Trading in terms of demo accounts we would say 24Option, IQ Option, Plus500, and eToro. We hope that this helps, if not, do not hesitate to contact us again. We are here to help. Though there are plenty of other broker that offers great demo accounts, IG trading is for sure not the only one. If I was you I would try signing up to several different brokers to see which one fits you the best, personally, I find IG trading boring, and their demo account even differs from the real account. Different spreads etc.. shame..
Did anyone try to trade with the real account? I have a demo account with IG and I am considering to deposit and open a cfd account. I am reading this and other reviews and they are mostly positive..
did anyone open an account with them? I am Jimmy and the co-founder of BullMarketz.com. I have a real trading account with IG, among many other real trading accounts with other brokers. I use the IG account the most, and I trust IG the most. If you are already familiar with the demo account then you pretty much understand how the platform is working. Personally, I prefer IG over any other broker.